if that were the case, then he wouldn't have mentioned Yura in the first place.. why tell park about it when it is something to hide.. I have doubts that Prof Cha had planted her and now when the divorce had finalized, she came running to Prof Cha only to hear that 'it was your own mistake'. Oh and BTW I just checked, instagram has just exploded with this..lol.. and its not even a full kiss yet..IDK what will happen once we do get a kiss.. Happy New Year chingus..may we get our answers in the new year!! @siddy09 thank you for that zoom-in kiss scene. I can't help but look at the cane falling on the ground he is going for the 'waist grab-pull closer' kiss poor cane is no longer needed. Caught up with the lastest episode and I was really hoping JHJ will get herself involved with the game and play the game to find her missing brother along with YJW.. that’s what I thought in the beginning when we were first introduced to Emma. So what is Emma’s role in the game? That’s my question. I’m also sad that Secretary Seo died. I didn’t see that coming. It was especially sad when YJW saw him in the dungeon but now as a NPC. That broke my heart. Why did they have to kill off one of my favorite characters? I can't help but look at the cane falling on the ground he is going for the 'waist grab-pull closer' kiss poor cane is no longer needed. Haha .its funny.I also think that too.poor cane. At the final scene, I think the savior is not guard or someone.In preview, JW look behind the bars and he look full recover and search someone or something with surprise.If the bar are close that mean game is still on .The time is 29 minute left. Its that Emma? .In interview Shin hye said that hee joo has healing power.May be the savior is Emma .May be not .But if its Emma then why writer show HJ searchs something and call to someone. .My head is almost explode with many question. Hi @siddy, okay, actually, having thought about it, their translation probably has a similar meaning to the way I translated it. By "I can do better", HJ means to say that she can get a better man than JW, not that she HJ will be a better gf to JW. Anyway, HJ is still being very cheeky about it, which I totally like. As for the episode, ugh. Even knowing that Sec Seo was dead before I watched it, it hurt to see him dead. And the tears in JW's eyes as he sees Zombie Seo appear to kill zombies for him. Still, I keep wondering if Sec Seo, HS, and Marco are truly dead, or if JW will be able to complete a quest that "regenerates" those people somehow as someone else had alluded to. But given that real life people outside of the game are seeing these people dead and that so much time has passed with various bodies being corpses, I do think that they are dead. If so, this is definitely the darkest drama this writer has written. It didn't surprise me to see the zombie NPC's in the game, given the popularity of zombie shooting games. Still, when JW was being overrun in the dungeon, I could feel myself getting tense, wondering how he was going to be saved this time. I expect that HJ will have called her friends to go find him, and the light that JW sees at the end are their flashlights, and thus JW will be saved since non-player people seem to be considered unavoidable obstructions by the game elements. Anyway, that was another fast hour for the episode. So, 6 more episodes to go to resolve the mysteries of this game, find Se Joo, and advance a slow burning romance between HJ and JW. Given all that is happening in the game, though, I hope that the real world stuff with JW being fired as the CEO and a potential company takeover doesn't take up too much of the upcoming episodes. Though, given that JW and Park now think that the game creates real casualties, the game can't be released and the company is going to go into bankruptcy, so it's good that they're addressing that. Also, a bit more clarity on Professor Cha and his intentions would be appreciated since right now, he just seems like a cold-blooded meanie. He was actually disappointed to find out that his grandson is actually his grandson. Ouch. So, to finish this post on a good note, I'm looking forward to HJ and JW interacting face to face next week, and hope the kiss that happens is magical, too. Guuuuyzzzz I dont know about this anymore....how could they kill SEC SEO I was hoping he survives seriously!!! WOOOOW I dont want to try to guess theories or anything anymore...I feel like sitting back and letting the writer tell her story..... don't wanna try to hurt my pretty head trying to figure anything out!!!! after loosing Sec Seo I just wanted JW to finish the quest and find SJ I didn't want them to shut down the server or save him because Sec Seo will be dying in vain!!!! I guess the villain of the game will be found outside the game and not inside playing it!!! Ratings jumped to 9.2% !!!! - When Prof. Cha told Director park about the paternity test, he said that the grandchild was truly his blood. He didn't say anything about the child being CHS's. I found that strange. What is he truly implying? Why were CHS and SuJin scared of Prof. Cha? - JinWoo stopped limping after accepting the quest from master. He was able to ditch the cane till the quest ended. Probably that's why he is shown to be using the cane in the preview again. Did SeJu try and help JinWoo as he knew JW won't be able to carry items from outside Granada? - JW was offline after he entered the underground crypt. Could it be possible that Seju is still active in the game but not detected on the server? Has he been stuck underground for the past year? Or did her go and hide in his Nuna's Little Cabin in the Forrest ? How is he getting access to food and water? One of the first things SeJu did was to ditch his electronics. Did he have access to JOnes's game lens? In the Barcelona conference, JW talked about the possible launch date of the lens being delayed to make more content. Without the lens being available in the market, how was SeJu able to create a game based on them? If he did, who provided it to him? There is a possibility that he could have been a tester for the lens before launch. I would be interested in ironing out this detail sometime in the upcoming episodes. - I really felt pity for Director Park. He was practically begging HJ to tell him that she thinks JW is sane. He is really in a tough spot. If JW is telling the truth, his friend is in mortal danger and the company will go bankrupt due to the flaw in the game. On the other hand, if JW is hallucinating, that means that his friend is mentally unstable and he will lose the company he help build from scratch. And now he has received JW's will and heard that Secretary Seo is dead. - The moment JW saw NPC Secretary Seo was so heartbreaking He would have probably let himself been killed, if HJ hadn't thought quickly on her feet and called for backup from the security at Alhambra palace. She also had her passport in hand and was probably heading for Granada immediately. If they shut down the server before JW completed his quest and got him out, he still has a chance to log back in and finish the quest in the remaining 30 mins . In the preview, there is a short scene of JW in the underground crypt looking around and being surprised. Wonder what that is about. -After today, I am starting to think that the people who died - Marco, CHS, Secretary Seo , were all killed by a real person outside the game. Marco's body was decomposed, Prof. Cha refused autopsy for his son and now Secretary Seo. Their deaths have been implied as the consequence of being in the game but there hasn't been any physical proof. And there might a probability that the actually killing and the creation of rogue NPCs are completely independent feature. The writer better have a good LOGICAL explanation about all these mini-miracles and nightmares that are happening all over the game! I honestly can't see how anyone would be in any state of mind for romance after what has already happened. We will find out more next year I suppose. 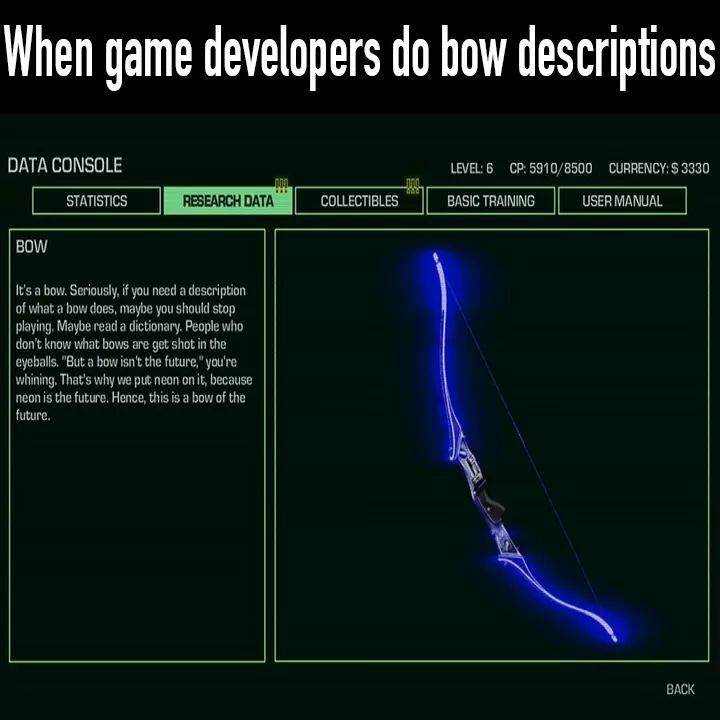 On a lighter note, why are bows missing from the weapons arsenal? Would have been useful before getting the gun and for long range attacks. Also, the one episode HeeJu managed not to cry, JinWoo had to step in . Is anyone keeping a tally? At work but counting days.. May the force be with us. Imagine we were the people watching the player playing... I wonder, do they look insane? Fighting by themselves? Ha ha.. I wonder how Sec Seo body was found later in the bushes? Just as Marco's deep in the woods. However, Dr Cha just at the bench in the park. All of them connected to JW. I like the idea - the game was plan to trap or kill JW. By that, the game can be consider safe for other user. The game is too good to put it away. Ah, Secretary Seo is the most pitiful. He took care of Yoo Jin Woo so much, but he died. Wow... I have no idea how will the story develop in the future... I'm not sure if he will meet Se Joo in the dungeon, Jung Hoon died and became an NPC... This episode was just chaotic. It's really interesting and I watched it without realizing the time, but my heart hurts so much. I had a mental breakdown!! Secretary Seo continued to protect Jin Woo even after death, that made me tear up. Jin Woo has to live in guilt now, my heart hurts so much. I teared up while watching. Hyun Bin's acting gave me goosebumps. Please save Secretary Seo. Secretary Seo became Zombie Seo. Secretary Seo.. When he requested for alliance, he smiled brightly while suggesting that he might be able to help him.. Even after death, he's still helping him... Save Secretary Seo. Scriptwriter, please don't do this. What wrong did Secretary Seo do? He was looking for Se Joo who he has never met before and lost his secretary..... Ah, this kind of feels like W. The manhwa character lives, but the manhwa artist in reality dies.. It reminds me of that. What was he feeling when he went down into the dungeon after writing his will... He is someone who is just like his brother, but he died because of him and became an NPC.... My heart hurts so much..
8. [+399,-4] Hyun Bin's acting is the best. I could feel those emotions when he stared at Secretary Seo while crying. 1. [+317,-1] When Secretary Seo fought the zombies with arrows stuck in his back, why does it feel so sad? Yoo Jin Woo stared at him with soulless eyes made my heart hurt too... In the middle of all that, Hyun Bin's acting was so detailed with his eyes, he's so cool. 2. [+172,-2] Secretary Seo is pitiful... Look at him protecting Yoo Jin Woo after he died just like how he has always done. 3. [+138,-0] Hyun Bin sitting there soullessly broke my heart. Hyun Bin is now perfectly Yoo Jin Woo. 4. [+131,-0] Ah. This is sad~ They shouldn't have killed off Secretary Seo..
6. [+15,-0] Do you have to kill him?!! 7. [+13,-0] This is the first drama that made me hope that the final episode is a dream. Let me just gather my thoughts cause that was such a heartbreaking episode. First of all, what was the point of Emma ?? does she do anything ?? This was the first time JW spoke to her and that's all she could do for him ??? Take care I'll wait for you and that's all ?? And what is the point of HJ ??? Please I love PSH so much I was so hoping she would do something especially after last week's episodes, she's the love interest sure but her job shouldn't be just waiting and crying and translating spanish for god's sake !!! I was hoping she can be part of the game, be a cheat code with Emma of some sort, LIKE COME ON WRITER-NIM WHY DO THIS ??? 6 episods left is there any hope for her character ?? On the other hand, Director Park, I said before that I don't trust him, cause he kept insisting that JW is insane, no matter what, but today's episode made me see something else, he really does look concerned for his friend ,and the company, I understand his point of view but, he seems very influenced by Prof Cha ( I hope he shows he's on his buddy's side though) , and the latter is just so creepy, sure the company for him is first and last, but the way he talks as if he's ready to abandon ALL for it, he even did a paternity test on his grandchild !!! who does that ??? And what the hell did Yura tell him and why is her character important to the story ??? One of you may have said this before, but I think the Cha SJ was talking about in the phone call with JW is Prof Cha, not HS, he now shows it easily that he has no affection for his son much less JW, there's gotta be some part of the puzzle that's missing and will somehow make everything that's happening right now make sense. And Finally, Sec Seo, poor Sec Seo, he was just so loyal even in death, the way JW's face lit up thinking his buddy is finally here to help and then how his face fell when he realized he's actually dead now, HEART BREAK I tell you, ( Hyun Bin's acting was TOP in this moment). The way JW kept looking at him with such an empty expression, still not believing, the guilt and everything, while Seo was still fighting and defeating all those zombies, PLEASE BRING HIM BAAAACK, he doesn't deserve this. I can only Imagine what JW's mental state would be after that, he must be devastated, drowning in guilt, especially if after all this trouble he gets out of that dungeon with nothing at all. Concerning the romance, yes I'm waiting for it, yes I'm excited for next week's kiss, hopefully it'll have a good motive and surroundings, but I'll say this, PSH and HB better star in a another drama again, they have so much chemistry and I would love to see it replicated in another work.